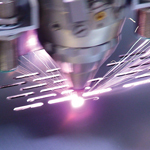 Sfinkx Photonics Group is a leader in manufacturing Fiber and CO2 Laser material processing equipment for marking, cutting and engraving applications. Our equipment is used by manufacturers in the automotive, aerospace, industrial, defense, electronic and medical industries around the world. 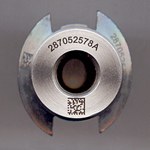 The FLM Series is a new generation in Fiber Laser Marking (FLM) and material processing systems for direct parts marking, UID (Unique Identifier) and deep engraving. It is the most advanced, compact, industrial grade, fiber laser, marking and engraving series available on the market. The FLM series utilizes the new generation of solid state Ytterbium fiber laser systems of near infrared spectral range (1060-1080nm) with a unique combination of high peak power, ideal beam quality, fiber delivery and the highest wall-plug efficiency. These laser systems possess a reliability that is unmatched by any other kind of solid state or gas laser system. Offering a wide operating wavelength, high stability and ultra-long diode lifetime complete an impressive list of advantages to these modern fiber laser marking systems. The FLM Series Equipment is safe, compact, and service-free, designed to meet individual marking needs with the ability to mark a wide variety of materials including Direct Part Marking (DPM) of alphanumeric, logos, serial numbers, part numbers, lot and date codes, schematics, graphics, deep engraving and more. It can be delivered as a stand-alone system that can be integrated into any production line or a full turnkey workstation. Sfinkx Energy Group offers a complete turnkey solution available through a single procurement that takes solar energy purchases all the way from concept through commissioning. It is an easy and fast way to commit your budgeted maintenance and management funds into an energy-efficient, cost-saving, renewable energy generation system for your facility. A turnkey solar PV system includes all system design, materials and installation under a single contract and price. Turnkey project Implementation provides everything required to deliver your fully integrated, installed, tested and operational grid-tied solar power system. • Operations and maintenance training ensuring that your staff is trained to keep your low-maintenance solar electric generating system performing optimally for years to come. Web-Based Monitoring – system-embedded precision sensors transmit array-level performance reports via the internet to you. • Interface with public kiosk displaying informative, live-stream graphic representation of your system’s solar production, energy savings, and environmental benefits.